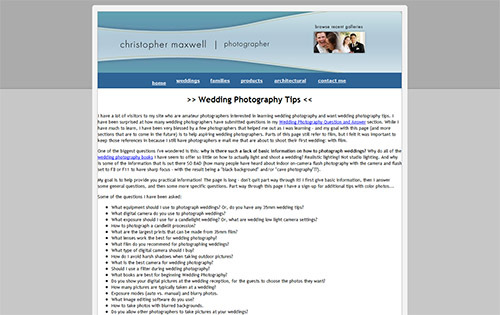 [tweetmeme]After reviewing David Ziser’s wedding photography book, Captured by the Light, I decided to dig into my collection of bookmarked articles in search of even more wedding tips. I came up with quite a few, and supplemented the list with a quick search around the web. 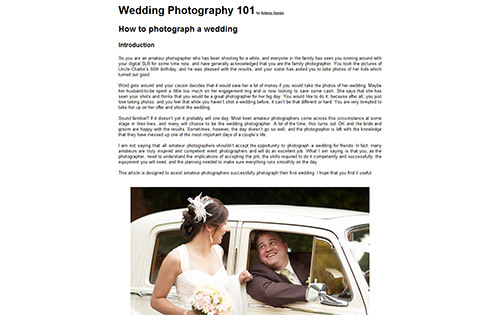 I’m sure this isn’t a comprehensive list of all wedding photography tips out there, but it’s not a bad start. 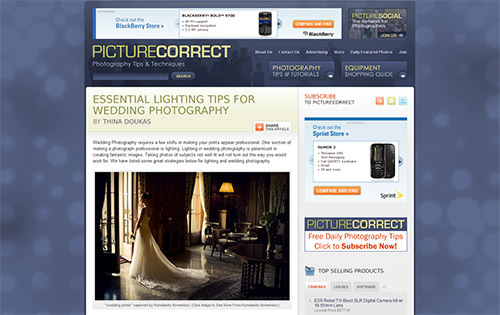 In these 13 articles, there are over 115 tips covering many aspects of wedding photography from lighting to composition to planning to the business end, and many more. 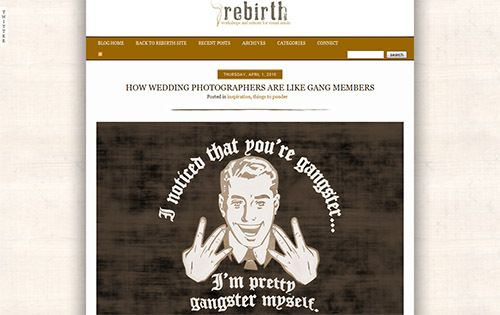 So if you’re getting into wedding photography, check out these resources and take some notes! 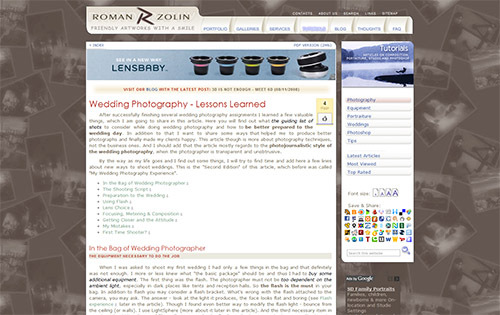 If you know of any other good wedding photography tips, tutorials, and/or resources, feel free to leave the links in the comments below. And if you have any good wedding shots of your own, show them off! 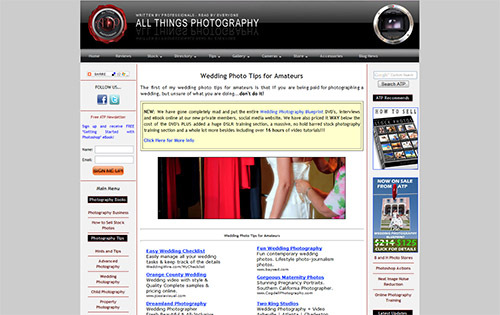 This entry was posted in Features, General Tips and tagged links, list, photography, resource, tips, wedding, wedding photography, wedding photography tips on April 20, 2010 by Brian Auer. Get Your Photographic Life Organized with Velcro ties! This entry was posted in Roundup and tagged action, clone, ebook, Equipment, failure, Film, food, free, gear, guide, howto, inspiration, landscape, lightroom, link roundup, links, News, organize, photo, photography, photoshop, polaroid, resource, review, Roundup, smoke, statistics, tips, tutorial, winter on April 10, 2010 by Brian Auer. Wow… tons of links this time around. After dividing up my Twitter accounts and becoming more active with it, I’ve been bookmarking a lot more content. I might need to find a better way to do these posts more often than every two weeks… looking into a few options this week. Then again, if you’re on Twitter, you can just follow @EpicEdits for realtime updates and links like these. 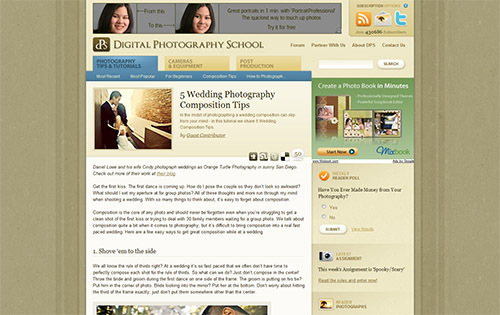 And if you’re on Delicious, you can see all of my photography bookmarks (some are never posted here on the blog). 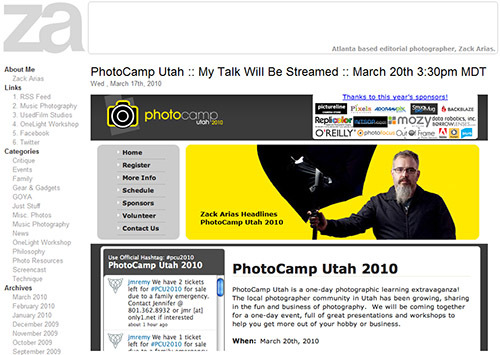 This entry was posted in Roundup and tagged link roundup, links, News, photography, Roundup on March 29, 2010 by Brian Auer. 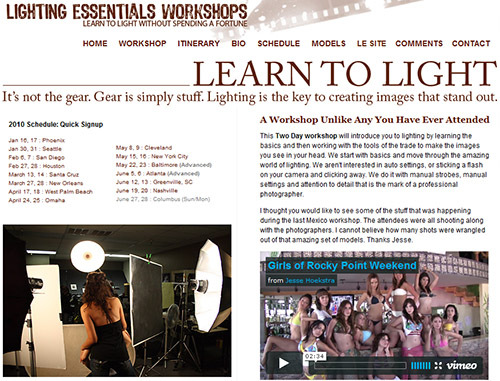 Lighting… It’s a complicated mixture of knowledge, equipment, and magic. You shouldn’t attempt it unless you’re a trained professional with lots of money and a big studio of your own. 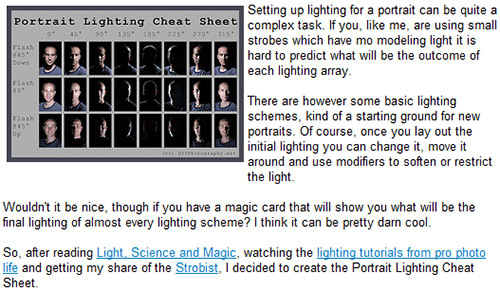 In addition, you’ll need to memorize thousands of rules and lighting setups in order for your photos to look decent. Oh wait… forget what I just said. That’s just how it appears before you take the time to learn it. [tweetmeme]I have to admit that I’m just starting that learning process, and I wanted to share some great resources recently suggested by the readers of Epic Edits. 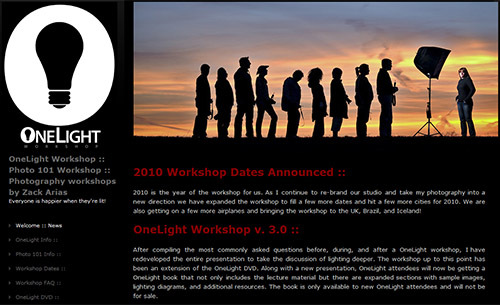 I’ve split up the links into lighting diagrams, lighting tutorials, lighting websites, and lighting courses/workshops. Start clicking! 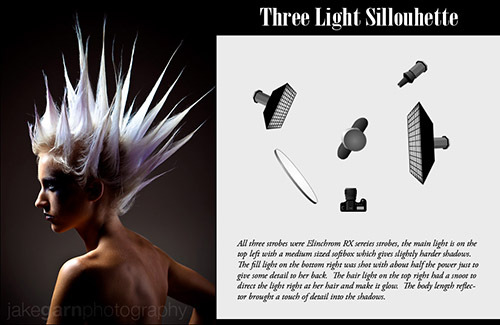 4 lighting diagrams and sample shots from a fashion photographer. 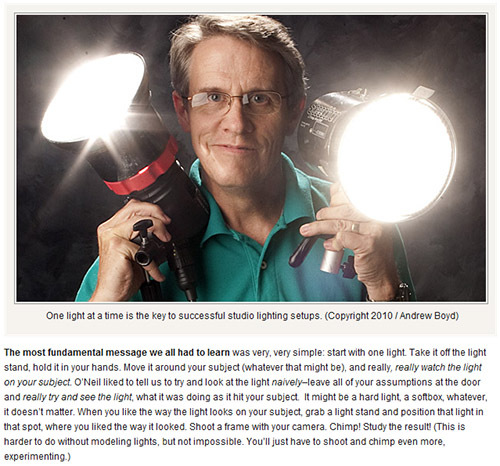 16 simple lighting setups with simple explanations. Documentation of a Project 52, including 11 lighting diagrams (and counting). 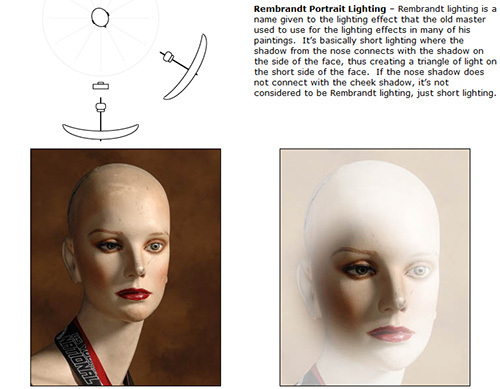 Five of the most basic portrait lighting techniques. 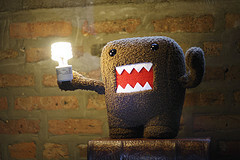 A great concept that shows a full spectrum of effects by moving a single light. An exploration of simple lighting to achieve different effects on the same subject. 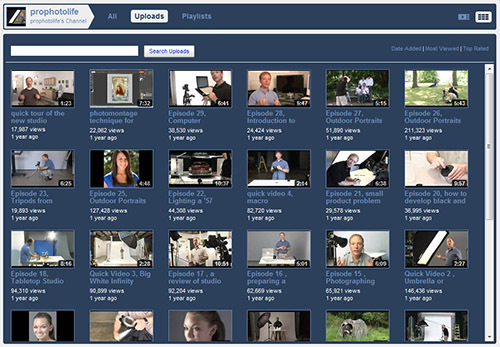 A collection of 33 video tutorials, mostly having to do with lighting techniques. 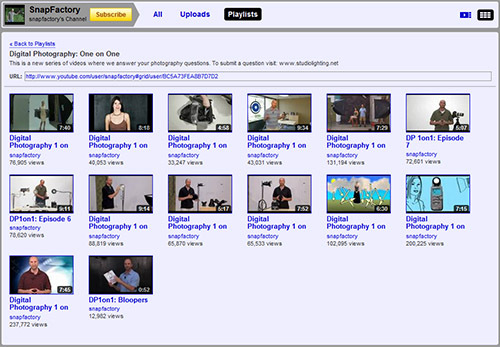 This playlist titled “Digital Photography 1 on 1″ has great lighting Q&A with examples. A good example of the “less is more” motto — check out the photo and diagram! 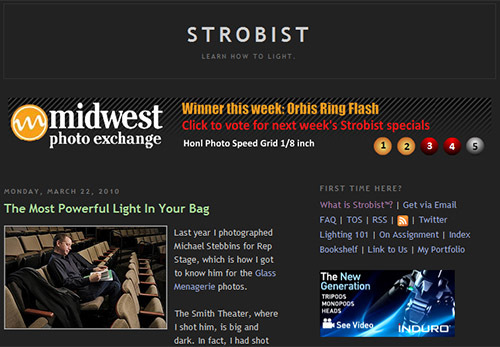 An intuitive approach to photographic lighting — start with one! Learning how to use off-camera flash with your dSLR. 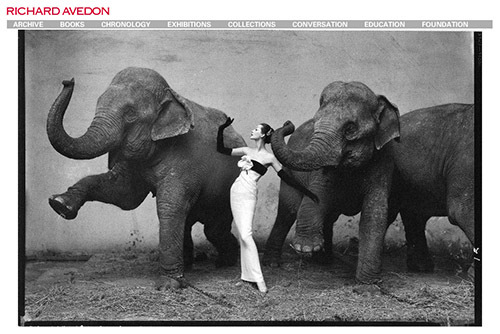 Lighting, Photography, Fashion and Editorial Portraiture on Location and In Studio. 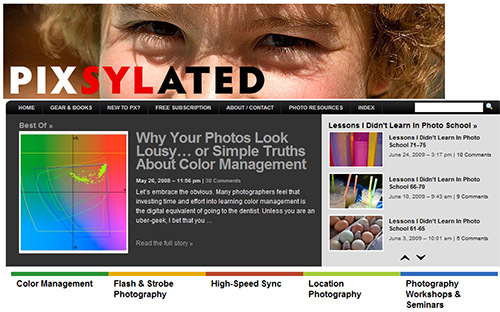 Honestly Biased Insights on Photography by Syl Arena. 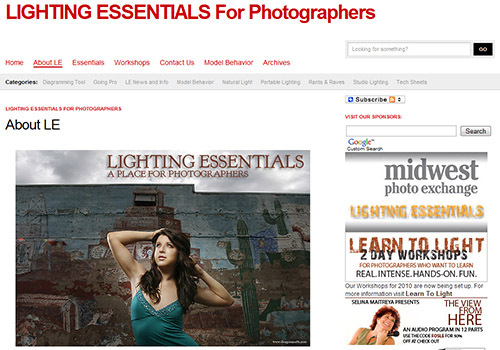 Articles by Chris Grey dealing with lighting techniques and equipment. 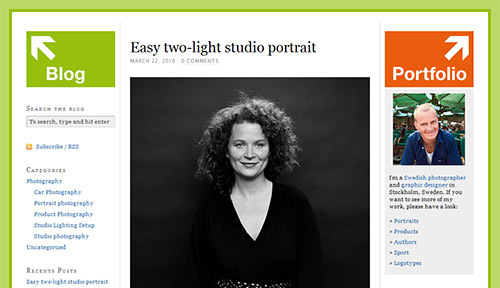 Many example photos and lighting diagrams for portraits. 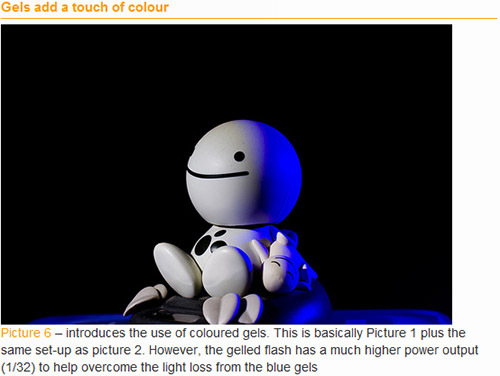 Ok… so this one isn’t really a lighting resource, but the photos are awesome to study! A nuts and bolts type of workshop — Off Camera. Manual Mode. Old School. Learn to light without spending a fortune. 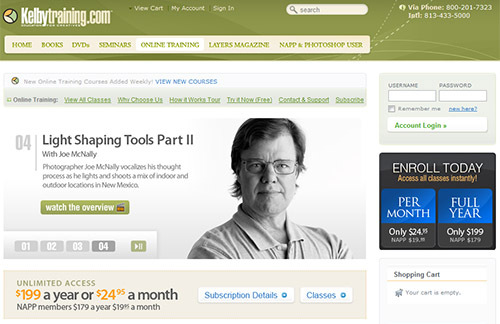 Online training for photographers — check out the stuff by McNally and Ziser. [tweetmeme]Special thanks to Nathan Nontell, William Beem, Kris Mitchell, Steve, Shawn, Tomas Webb, Janne, Kunal Daswani, udi, Don Winkler, Mike Blanchard, Stefan Tell, Damien Franco, Jay, and Andrew Boyd for commenting on my previous post asking for lighting resources. You guys are awesome. 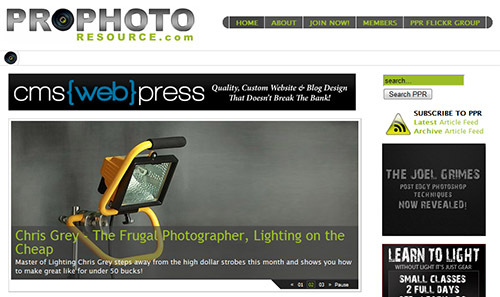 This entry was posted in Features, Lighting and tagged diagram, light, Lighting, links, list, photography, resource, strobist, studio, technique on March 25, 2010 by Brian Auer. 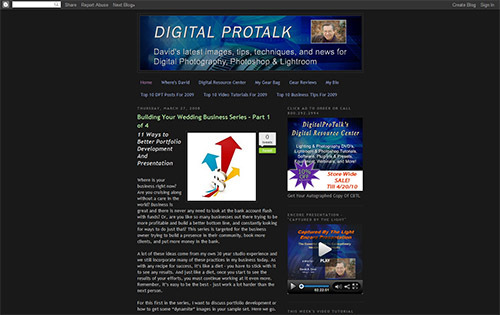 I recently posted some tips for starting a new photography blog and I asked any new bloggers to promote their sites. I had actually expected more of a response, but we did get a few chiming in with their links (similar situation to the recent Twitter post… *hint, *hint). Is nobody blogging anymore? Or is everybody already blogging?! At any rate, I thought it would be cool to give a shout to the new kids on the block and offer up some encouragement in their early days. Keep at it, you guys — your future returns will be proportional to the effort you put in now. [tweetmeme]And for those new bloggers who didn’t drop a link… sorry! You missed the boat! That’s blogging for ya — be fast and get lucky. 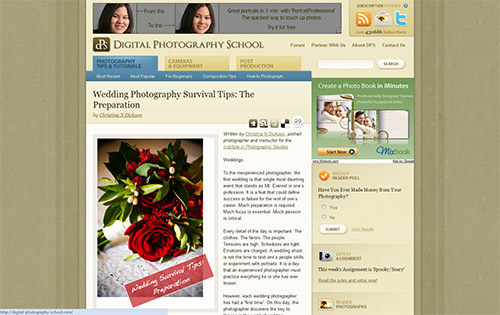 Photography Blog: Tips, advice, and thoughts for stock photographers. 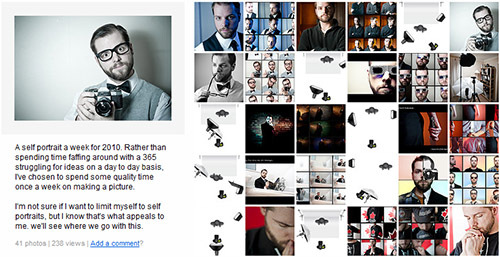 Journey Blog: A journal to record my growth in the world of photography. Sandbox Blog: Photos, tips, thoughts, etc. from a freelance photographer. Journey Blog: The study of photography and using it to teach an appreciation for nature. 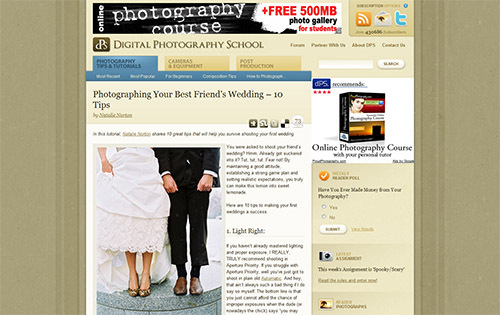 Photography Blog: Expert advice, tips, techniques, equipment, and more. Photoblog: Paris street photography and commentary from an iPhone. 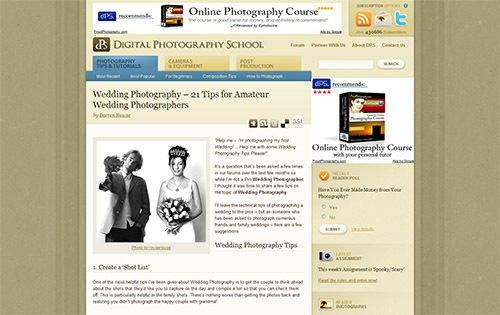 Photography Blog: Tips and techniques for amateurs wanting to develop their photo skills. Journey Blog: A very new blog depicting the life of a photographer in Solan. 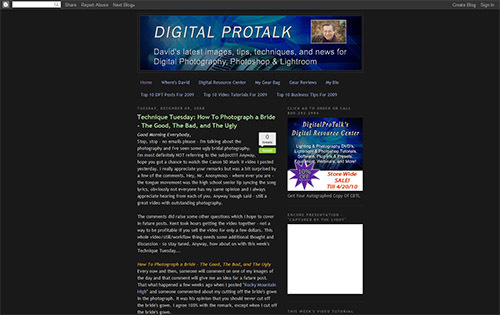 Photoblog+: Photos, plus thoughts and tips concerning those photos. Be sure to check out a few of these new blogs — you might like what you see (and you never know who will be the next “big thing” in the photography blogging community). Some of them strive to become a community pillar, others post for fun, and others are just exploring the whole blog thing. Whatever their reason may be, click through and see what they’re up to (a rush of new visitors is a huge source of encouragement for new bloggers). My feed reader is almost filled to the brim, but I found several of these blogs worth adding to my list of follows. So, really… check ‘em out and welcome them to the community. This entry was posted in Features, Off Topic and tagged blog, links, new, PhotoBlog, photography, photography blog on March 18, 2010 by Brian Auer. On the last roundup, I asked if we should kill the feature and just post single news-worthy items as they come in. We had a mixed response, and I’m still finding a middle ground I can manage to keep up with. So I posted a few in the news section of the site and I’m posting the remainder here. I did notice that the single posts had many more clicks to the source than these roundups do, and I even got an email from one of the featured bloggers making note of this. So I think (for now) I’ll keep doing the roundups on a bi-weekly basis, but I’ll also be tossing out a few news-worthy items throughout the week when I find them. I don’t want to flood the posting schedule with a bunch of link posts, but I’d also like to highlight the really good stuff in a more timely manner. So here’s the “rest of the best” that I didn’t get around to featuring these last two weeks. 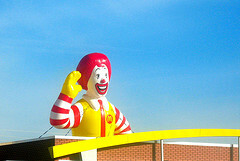 This entry was posted in Roundup and tagged links, News, photography, Roundup on March 13, 2010 by Brian Auer. I get a listing of weekly specials from Adorama each week, but I’ve never posted them for some reason. Note that these are affiliate links (which help support this site), and I’m not saying anything about these items other than the fact that they’re on sale this week. Do your own research and purchase responsibly. Also, is this type of “weekly specials” post useful for any of you? I’m not generally a bargain hunter, but I know some of you might be! This entry was posted in News and tagged adorama, Equipment, gear, links, News, photography, sale on March 11, 2010 by Brian Auer. I’m still working on putting together my article on using curves and histograms to edit photos, so in the meantime here are some good video tutorials on the subject. These tutorials are easier to understand because they show how the curve adjustments affect the image in a more dynamic fashion. This first tutorial is fairly comprehensive for the grayscale and combined RGB channels, covering the basics of contrast and brightness adjustments while also hitting on a lot of little tips and tricks. The creator of this video also jumps into some of the things you should not be doing with curves so that you can avoid these situations. This second video is a little more basic than the first, but it presents some of the material in a slightly different manner. If you watched the first and you don’t have a good grasp on the curves dialog, watch this one and see if it helps. And if you have already watched the first two videos and you still don’t have a handle on things, this last one from our friend Donnie might help. He also gets into color channel curve adjustments, so this is helpful for the more advanced users. 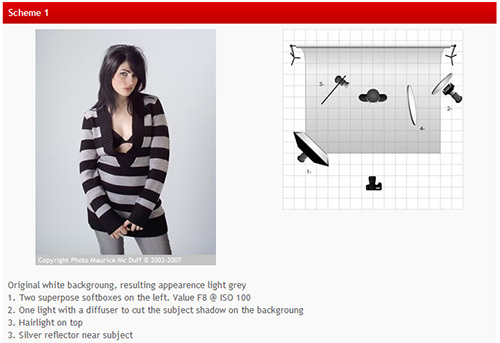 This entry was posted in News, Photoshop Tips and tagged curve, curves, links, News, photography, photoshop, tutorial, video on February 3, 2010 by Brian Auer. Happy Holidays, everyone! Here’s some stuff to keep you busy this week. This entry was posted in Roundup and tagged books, camera, digital, diy, Film, humor, link roundup, links, News, photography, photos, photoshop, Roundup on December 20, 2009 by Brian Auer. Lots of new links from the last two weeks. If things keep up like this, I might have to go back to posting these every weekend. The Cuboid is Now Live! 50+ Photographers on Twitter You Should Follow Now! 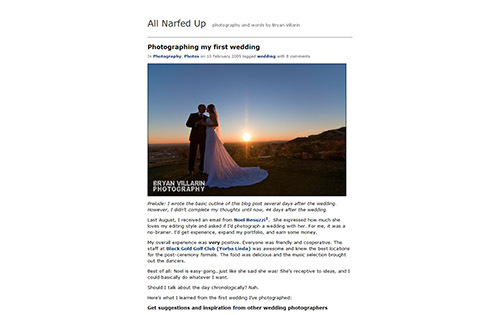 This entry was posted in Roundup and tagged link roundup, links, News, photography on December 6, 2009 by Brian Auer.